My love affair with Scientology. In the late seventies, I flirted with $cientology (the $ sign isn’t accidental). This happened when I came across one of its books (one of the only ones not written by its founder L. Ron Hubbard, who was not only a malignant narcissist of the highest order, but also a very bad writer), an easy to read and humorous “self help” book called “How to Choose your People,” by a writer named Ruth Minshull. The book was discontinued in the early 1980s, most likely because it wasn’t written by Hubbard and was therefore not acceptable “scripture.” Hubbard, a monstrously narcissistic and sociopathic cult leader, couldn’t stand having to share the spotlight with anyone else. 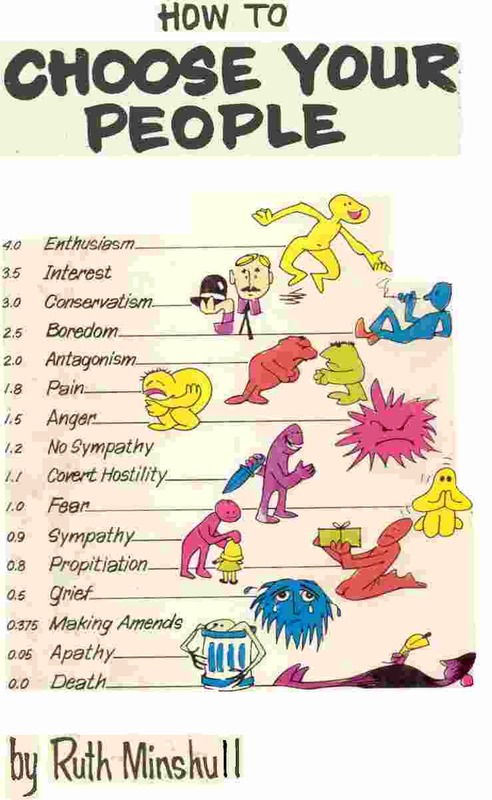 There were two “emotions” around the middle of the scale, called Covert Hostility (1.1) and No Sympathy (1.2, making it slightly “better”). Although not at the bottom of the scale, while I was involved in Scientology (and the related Dianetics, the mental “technology” that is similar in some ways to psychoanalysis and serves as a tool to brainwash its members), Covert Hostility and No Sympathy were considered by most Scientologists to be the two worst places to be on the Tone Scale. No one wanted to be labeled a “1.1.” Because if you were, it meant you were a Suppressive Person–that is, a sociopathic person who could harm the Church and its members. If you were pegged a “1.1” or a “1.2” you could be excommunicated or punished by a cruel form of shunning (which I was subjected to at one point). So I finished Minshull’s book and was intrigued enough to go to the local Scientology Center (on New York’s upper west side–I was living in Queens, NY at the time) and find out more. They gave me a “personality test,” that was supposed to identify what my issues and weak points were. There were 200 questions on the test, but when I was done, someone sat down with me and went over my results and convinced me I needed Dianetics auditing or classes in Scientology (much cheaper than Dianetics auditing) to overcome these weak points. The recruiter was very convincing and friendly, and assured me I would only be set back $15 to sign up for the HAS course (Hubbard Apprentice Scientologist aka “Communication Course”), which was really training in something called Training Routines (TR’s) which were actually brainwashing techniques, only they don’t tell you that when you sign up. 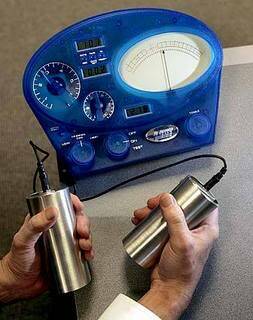 After I “passed” the Communications Course (by getting a “floating needle” on a lie-detector type of device called the E-Meter), I was convinced without too much difficulty to sign up for the next course, the HQS course (Hubbard Qualified Scientologist). That one set me back $250. (The prices are probably much higher today). By this time of course, I’d been sufficiently indoctrinated that $250 for further “processing” and “training” didn’t seem that bad. It didn’t take much to convince me to hand over the money. The prices of the courses (or “auditing,” if you take that route, become higher the further up the “bridge” you go. At higher levels, they run thousands of dollars. Most people don’t have that sort of money, but can “pay off” the expense by allowing themselves to become slaves to the Church — usually by working on site, or at higher levels, by joining the Sea Org, Scientology’s paramilitary organization in Clearwater, Florida. It’s at Sea Org that you hear all the horrible stories of abuse, starvation, imprisonment, the destruction of families, the separation of children from parents, and even the deaths of a few Scientologists who failed to toe the line or became, in Scientology parlance, SPs or “Suppressive Persons,” just because they still had a mind of their own or balked at the abuse meted out on them. Back to my own story. In order to help pay for the HQS course (because in those days $250 was a lot of money, especially for a 19 year old) it was suggested I work at the Scientology Center (actually a Mission, which does not offer higher level training and auditing) part time, answering phones and opening and distributing mail. The position (called a “post”) paid nothing, but I got “credits” to help pay for the course. Of course, by now I was spending most of my free time at the Center, because right after “work” it was time for the classes, which ran about 4 hours a night (5 days a week). Scientology’s real agenda begins to emerge. No one wanted to be sent to Ethics. If you were sent to Ethics, it meant there was a problem and you were considered a “Potential Trouble Source” (PTS) and disciplinary action would be taken. I was sent to Ethics about three or four times, all for very minor transgressions such as minor criticism–or catching a cold (more about that later). The punishments ranged from having to re-read material to find “misunderstood words” (and be “passed” being connected to an E-Meter), to cutting off friends and family members who could be potential “Suppressive Persons” or enemies of Scientology (you would be required to write them a letter telling them you were cutting them off), to shunning, to excommunication. One time I came to the Center with a bad cold. I was immediately sent to Ethics because according to Scientology’s deluded doctrine, if you became ill, it meant there was a “SP” in your life who was hostile to your involvement in Scientology and by default, you became a PTS (potential trouble source). Sniffling and sneezing, I sat down and held the two metal cans of the E-meter. I was asked a bunch of questions about anyone in my life who was hostile to Scientology. You couldn’t lie, because that would be picked up by the meter. At the time, I was dating a guy who thought Scientology was stupid, and I told them that. I was ordered to “disconnect” from him, or be excommunicated. I had to write the boy (who I was still in love with) a letter telling him I was disconnecting from him because he was hindering my progress up the “bridge.” I cried while writing to him, but it did get mailed and I did disconnect. Later, I almost had to write a “disconnect” letter to my own father, who I had once dumbly admitted had been making fun of Scientology. I was able to get out of that one by insisting he really wasn’t opposed to my involvement and just liked to make jokes about lots of things. But I did know other people there who were ordered to disconnect from family members, sometimes their entire families. I have heard of some Scientologists even being forced to disconnect from their own children. Looking back, I recognize this as the cult-equivalent of what a narcissist does when they attempt to isolate you from friends and family members. It’s a way to weaken you by cutting you off from your support systems so they more completely own you. Shunning is another disciplinary measure, and I was once subjected to it (I cried while “auditing” a student, which I’ll describe in more detail later). I was told although I would still be required to fulfill my job duties and attend classes, no one would be allowed to speak to me and I was allowed to speak to no one (unless it was directly related to my job or something I was learning). It was horrible. This torment on for several days, until I was “passed” up a level and allowed to be spoken to again. But before that could happen, I had to go up to every high level member and employee, make amends to them and “re-introduce” myself. I also was required to do some tasks to “make up” for whatever “sin” I’d committed. Some involved things like cleaning bathrooms or washing dishes. But others could get pretty weird. I’ll describe the task I was required to fulfill in order to be re-accepted into the group. Scientology’s vendetta against mainstream mental health and the part I played in it. 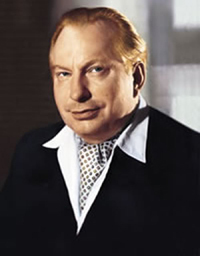 L. Ron Hubbard: pulp science fiction author turned self-proclaimed messiah. It’s well-known that Scientology has always been very hostile to mainstream psychology and psychiatry. 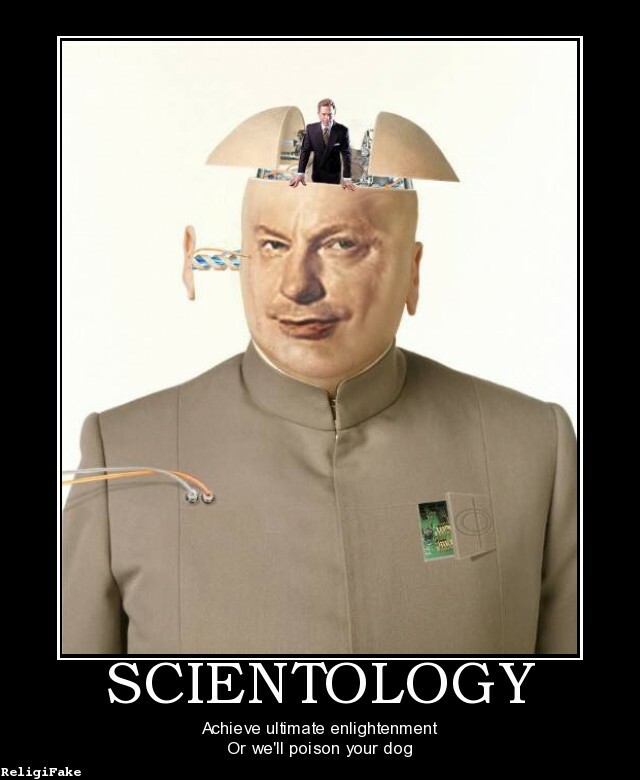 L. Ron Hubbard thought of psychiatry as the worst evil to befall mankind. My theory about this is based on his malignant narcissism. 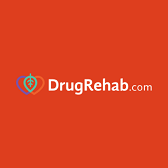 When he first developed Dianetics (the “auditing technology” that resembles psychoanalysis in some ways) back in the early 1950s, Hubbard had attempted to get it recognized in the psychiatric community as a valid form of psychotherapy. Of course, Hubbard had no psychology degree (and in fact, had lied about much of his background). The psychiatric community refused to promote his ideas or his book, “Dianetics: The Modern Science of Mental Health.” Hubbard, enraged by their rejection of his “brilliant technology,” turned against the psychiatric and psychological communities (and marketed his book, at first, through ads in pulp science fiction magazines, where he was already known as one of their contributors). Eventually, he decided to turn his ideas into a new religion and named it Scientology. Now, he could make more money than he ever could as a mere author, and never have to pay a dime in taxes. That’s the background that will explain the task I was assigned to do to get back in good graces with the Church. I was given a list of names of psychiatrists and psychologists and told to go to the library and look up each one in the phone book and get their phone numbers. Okay, that was easy enough. I headed back to the Center with the phone numbers filled out, hopeful that this would fulfill my duty. But no, they weren’t done with me yet. I was told to go home with the list of names and phone numbers, and call each of the doctors and ask them what they thought about Scientology! As someone who hates phones and alway felt awkward speaking on them, I felt like I was in some kind of nightmare. I also had to LIE to them and tell them I was a research student doing a study for a university program. But I did do it. A few of the doctors refused to call me back, or I only got to speak to their secretaries, who couldn’t give me an answer, but most of them I got to actually speak to, and as would be expected, most of the responses were negative toward Scientology. Apparently, my research was sufficient. Finally, I was then allowed to “make amends” to all the higher level staff members and the shunning was lifted. Ironically (or maybe not so ironically), a year later, I entered college as a Psychology major. Disillusionment and return to reality. 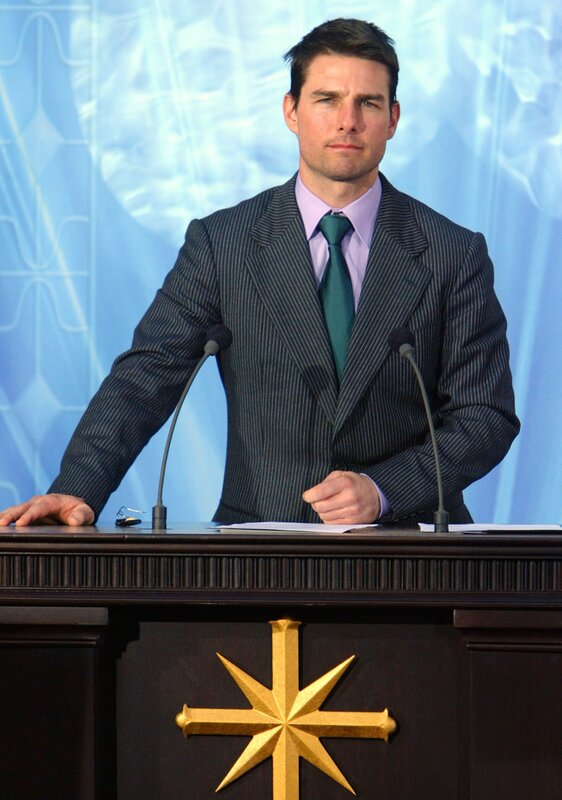 Toward the end of the HQS course, you are told to recruit other people into Scientology. I had to go outside, no matter what the weather, and try to talk people into coming up to the Center to take its personality test. The more advanced TR’s taught in this class became increasingly bizarre. These sessions could go on for hours, and as part of the training, I was also required to “audit” other students and conduct TR’s on them. If they proved difficult or uncooperative, I was the one who was blamed and was not allowed to stop “running the TR’s” until my student had passed on the E-Meter. If it went on all night, then so it did. You were not allowed breaks to eat or rest, and neither was your student. This is what led to my “shunning” punishment. What happened was I was so exhausted from lack of sleep and hunger that I burst into tears in the middle of running a session, and was immediately sent to Ethics and that’s how I got shunned. I was stunned by their total lack of empathy. You were never allowed to show any emotions other than fake happiness (“Enthusiasm” on the tone scale); showing any “low toned” emotions like fear, grief, frustration, pain, or anger was “bringing ‘case’ on post” and you would be sent to Ethics or punished for doing it. I also realized how I had been gradually seduced into this sociopathic organization through misrepresentation, manipulation, threats and lies. The personality test and the inexpensive and fun HAS course that promised to help me feel happier and more confident was merely the “love bombing” phase before the abuse that would come later and increase over time. I did NOT want to become one of the upper-level Scientologists, with their blank, weird stares, creepy smiles and total lack of empathy. Just look at Tom Cruise today: does he even seem human anymore? Hell, I’d rather be a Suppressive Person any day. I didn’t get nearly as far up the “Bridge” as many other people, and therefore did not experience some of the trauma and torture inflicted on members who are more deeply enmeshed with this cult. Eventually they WILL take over your entire life. For anyone interested in finding out more about the evil mindgames this cult plays, its psychopathic paranoia about both government agencies like the IRS and its hatred and fear of traditional psychotherapy and psychiatry, and the horrific (and sometimes fatal) punishments inflicted on many of its members and their families, I highly recommend either of these two websites that call out Scientology for what it really is. This is also pretty interesting, and what they actually believe is NOT a joke. * I just read that the numbers assigned to the emotions on the Tone Scale come from E-meter readings. In fact, Hubbard did not invent the E-meter. It was invented by a Freudian psychoanalyst named Volney Mathison, who used it on his psychotherapy patients. It was called the Electropsychometry meter. Hubbard bought the rights to the E-meter, and adapted it for use in Dianetics and Scientology auditing. The readings on the E-meter determine a person’s emotional tone. The Godship of Tom Cruise. I’m in shock. But I think I saw this coming. I cannot repost the photos or text here (you’ll know why after you click it on), but if there was ever any doubt Tom Cruise is a grandiose malignant narcissist of the highest order, this removes all doubt. He’s either batshit insane or evil to the core. Shudder. I wonder if he was always a crazy malignant narc, or if megastardom turned him that way. It seems the Church of Scientology agrees with his assessment of himself. Here’s another article that goes into more detail about the unveiling. I wrote about my own experience with Scientology in this article. 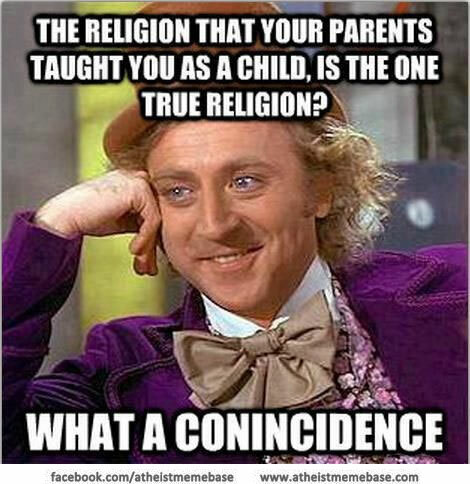 Which religion is the One True Religion? 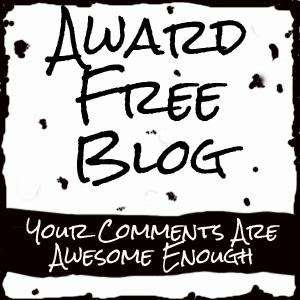 I came across a fascinating post over at Godless Cranium’s blog. Although I’m not an atheist, I always find his posts thought-provoking and he raises a lot of great questions. This one really got me thinking. Until recently I’ve been agnostic, and I still have a lot of agnostic views. I don’t expect those to all change any time soon. But this week I decided to become Catholic. I know, I know, a lot of you are thinking, WTF? Why would you choose such an ancient, archaic, bloated religion that has a violent past full of hypocrisy, bloodshed and immoral practices such as people being bilked out of their hard earned money to get someone out of Purgatory? I have my reasons. If you’re interested in why I chose this faith over others, you can read the two posts I wrote a few days ago. That being said, do I think the Catholic church is the “right” religion? Not really. It may be all wrong for someone else, but for a number of reasons, I think it will work for me. Catholics actually believe all Christians are going to heaven, and some non-Christians who do good works are going there too. I like that. But they still have their doctrine that holds that it’s much, much better to be a Christian, even a non-Catholic one, so a non-Christian’s chances of getting to heaven still aren’t very good. Muslims believe they are the only ones going to heaven. Allah will save a faithful Muslim but everyone else, including all Christians, will go to their version of hell. What if they are right? I mean, they could be, right? They are as convinced as any Christian that their Allah is the One True God and believing anything else is heresy. Closer to home, many fundamentalist Protestant denominations think only members of their particular denomination will go to heaven. There are about 30,000 Protestant denominations. Which one is right? Then of course there are the offshoots of Christianity that don’t really fit into traditional Christianity–Jehovah’s Witnesses, Seventh Day Adventists and Mormons come to mind. Without exception, they all believe their faith is the one true religion and only their Bible is the correct one. There are the non-Abrahamic religions too–Buddhism, Hinduism, Taoism and other eastern religions, as well as Wicca and various forms of paganism and shamanism, not to mention Scientology and Santeria. Even though they don’t worship the western God and don’t use any version of the Bible, their adherents all think they’re right. Who is to say they aren’t? Who is right? Is anyone right? Maybe the atheists are right and there is no God or afterlife at all. None of us will know for certain what will happen until we die. If we are just annihilated at death we will never be surprised there is no God waiting for us at the pearly gates because there will be no consciousness to draw such a conclusion. Perhaps reincarnation is what will happen. I can imagine many evangelical Christians being gobsmacked when they realize the Buddhists were right all along. Who’s to say? There are some very good arguments in favor of reincarnation. There are even some Christians who don’t think the idea of reincarnation can’t be reconciled with Christianity. Maybe what happens is whatever we believe will happen. If you’re a good Christian and believe you will go to heaven, then better start shining that halo. If you’re a miserable person who thinks you deserve fiery torture, then to hell you go. If you worship Allah and believe you have pleased that God, then expect Arabic to be spoken in heaven. If you’re a Jew you will find the promised land. If you’re a Buddhist get ready for Nirvana (but be ready for a few more thousand earthly lives first). If you’re a Scientologist, L.Ron Hubbard instead of Jesus will meet you at the gates. If you’re an atheist you may be surprised you aren’t annihilated after all, but what to do then? It might be nice to be free of an earthly body, but you’ll have to decide on some sort of afterlife for yourself. Maybe if you don’t believe in anything you’ll spend eternity floating around aimlessly here on earth. Maybe ghosts are really confused atheists who have passed on. It’s enough to make my head explode.